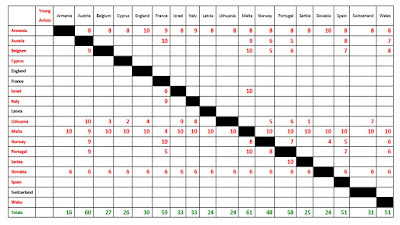 Schoolovision is a unique eTwinning project, as it brings together the children from countries right across Europe and beyond. Welcome to the first amongst a number of new Schoolovision members this year! Great to have you old Vikings aboard our big ship! Rangsby School is a small rural school located in the municipality of Saltvik on Åland Island. The school was opened in 1953 and renovated and extended in 2004. The municipal library is situated in the school. The school has 63 students from grades 1-6 and six teachers and a special education teacher. 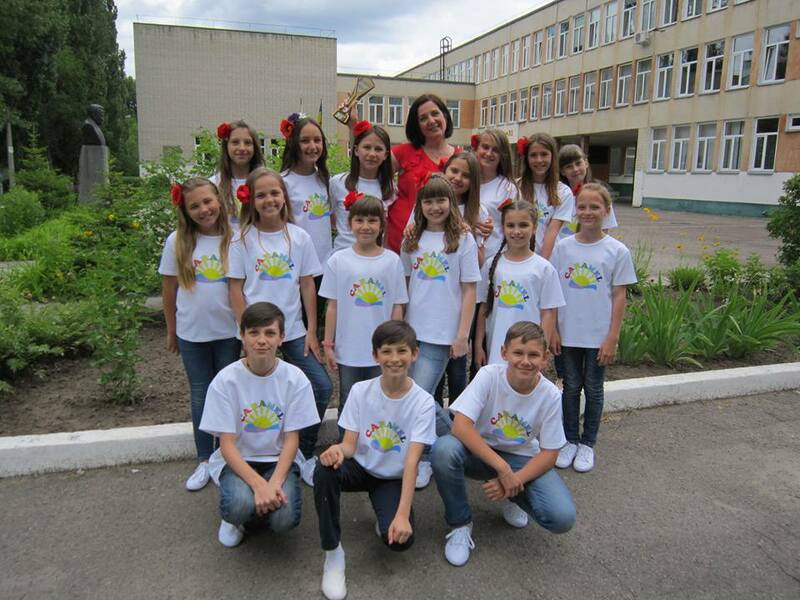 There are 10 pupils in 4th grade that will participate in Schoolovision 2016. With great joy we welcome for the first time a partner school from Armenia. Mkhitar Sebastatsi Educomplex in the capital Yerevan is a union of various educational institutions, including our new primary school partners. Volksschule Wildbach in Deutschlandsberg will represent Austria in Schoolovision for the 8th year running. They have been with us right from the start and always featured imaginative entries. Qworzó is an elementary school in a small village called Merksplas which lays about 70 km north of Brussels. Back for the 7th year, we can be sure of another highly imaginative entry! After a little break, we happily welcome Bosnia and Herzegovina back in our team. In our new partner school from Žepče, teaching is performed in both Croatian and Bosnian curricula. The school was established in 1880 and has currently 1,344 students. Welcome back to our partners at Paramytha primary school which hosts 51 students in total. It is the second year for them to participate in Schoolovision, as back in 2009 Cyprus began its Schoolovision participation with Agros Primary School. After their third victory in 2014, our Czech partners from ZS Husova in Brno took a well-earned break last year and are now back in full swing. We are looking forward to their next entry. Welcome to our latest new members from England. Mayflower Primary School is located in the City of Leicester in the East Midlands. It caters for around 470 pupils, aged from three to 11 years old, in a secure and happy learning environment. At Mayflower Primary School, the achievements of the children are recognized across all areas of school life and it is ensured that these are celebrated through both the ‘Achievement Assemblies’ and the ‘Well Done Blog”. Gustav Adolf Grammar School is located in Tallinn, Estonia. In 2012, they took a break, and their place was taken by another close-by school, but they returned to the contest for 2013- and it was great to have them back! Welcome back to our partners from Kirkonkylä School in Mäntsälä, about 25 minutes north east of Finland's capital Helsinki. The school, nick-named “Kirkkis”, has around 300 pupils. École publique de Florentin is located in the south west of France, around 75 kilometers north of Toulouse. Except for the fun round break in 2015, they have been with us ever since the project started! Adminstrators of the project and back for the 8th year, Freie Schule Kassel is a small school in Kassel, situated in the centre of Germany, close to the former border between East and West. Representing Greece for the 8th year running, is the Primary School of Mistegna, from the island of Lesvos. We can always look forward to imaginative entries from Flataskoli Gardabaer which is situated not far from the capital of the island, Reykjavík. Ireland is with us again. Hooray! Welcome to Malahide Postmarnock educate together! Overall winners right from their start in SV13, our partners from Israel returned with a new school the year after and were again very successful. Osishkin School is the heart of Ramat Hasharon City's Community. There will be a second school from Israel cooperating with our existing partners to present a joint entry. A big hello to Alzahra elementary school in Tira! Tira is an arab city near Netanya. The school was established in 1958 and has currently 550 pupils. They are featuring the successful "Ukuleles for peace" group and other international educational projects. The Sicilian school from Bagheria, 3° Circolo Luigi Pirandello represents Italy since 2010 and is back again after a year's break. Our Italian partners have always sung themselves into our hearts with their lovely imaginative entries. Welcome to our new partners from Latvia! Their school is located in the village Sērmūkši in the Amata region about 100 km from the capital Riga. The school was founded in 1934 and has 53 students of primary and preschool education. Its students are aged 2-16. Good luck with the first SV entry! 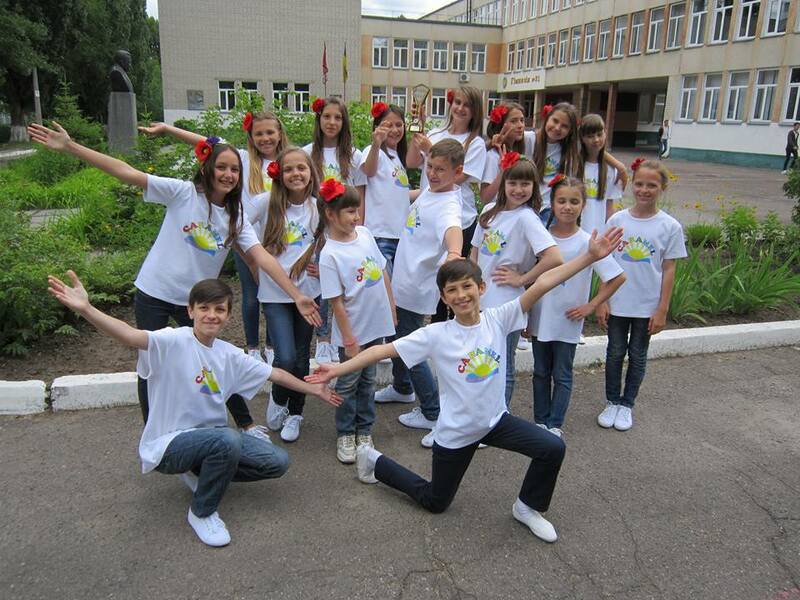 Lithuania are represented in 2016 for the 8th year by Juventos Basic School from Siauliai. The Star singers will strike again! After a long break we happily welcome a school from FYR Macedonia in our project again. "OU Grigor Prlicev" in the city of Ohrid, renowned as the "pearl of the Balkans", will represent their country in SV16. The school prides itself of both its many international activities as well as of the important UNESCO world cultural heritage sites in their city. Dun Gorg Preca Primary School C, in Hamrun, represent the island of Malta for the 8th year in a row. Welcome to our new partners from the Netherlands at KPO Basisschool de Stappen! If you click below, you can see that they have some good experience in making music videos. We're looking forward to their first Schoolovision production. Høknes barneskole, which is located in Namsos - a small town in the middle part of Norway, joined us in 2012- and they ended up as overall champions! Now back for the 5th year running, they have brought great professionalism to the project! Back for the 8th year running, they were among the first partners in the project, and their teacher kindly designs the blog header image for us each year. Dziękuję, Marek! EB 2,3/S Cunha Rivara is situated in Arraiolos, near Évora. After 4 years of positions in the lower half of the results, 2013 was a breakthrough year, with a superb song and video, which was even surpassed by the spectacular result in 2014 after which they took a year's break. 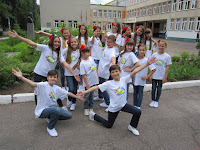 Liceul Teoretic “George Moroianu” Sacele got the title of “European School” in 2015 for its curricular and extracurricular activity at national and international levels and it is one of the biggest schools in Brașov county, Romania. The city of Săcele is situated in the middle of the country, near Brasov city and next to the mountains, also to 60 km away from Dracula's Castle place, Bran. Săcele is a small touristic city, full of traditions and churches, surrounded by beautiful views and resorts. There are around 1000 students from 6 to 19 in our school and around 75 teachers. We are happy to welcome for the first time in the history of Schoolovision a school from Serbia. With about a thousand students OŠ "Petar Leković" in Požega is known as a school with many cultural, ecological and sports activities. Požega is a small town in Western Serbia, about 180 km from the capital Belgrade where the international children's music festival "I'm your friend" takes place every year. Welcome to our new partners from Slovakia! Základná škola M. R. Štefánika in Ivanka pri Dunaji is a big school near Bratislava for pupils from 6 to 15. It specializes in foreign languages, ICT and environmental education. The school has achieved great success in various championships, including English and German language competitions. They boast more students every year, now about 750. We welcome back our great friends from the Canary Islands, Ceip Valsequillo from Gran Canaria, who are sure to treat us to another beautiful entry. With the International School of Helsingborg we welcome new partners from Sweden. They are all proud to be students at this school which was established in 1995 and has approximately 540 students between 3 and 19 years of age from Pre-school till Diploma Programme with International Baccalaureate. The teachers and pupils come from almost twenty different countries all over the world. Their aim is to develop internationally minded people who, recognizing their common humanity and shared guardianship of the planet, help to create a better and more peaceful world. New faces also from Switzerland this year. Hello to the Primary school Neufeld from the city of Thun, also known as ‘The Gate to the Bernese Oberland’ where the close-by famous mountains ‘Eiger, Mönch and Jungfrau’ provide a stunning view every day. Our partners from grades 5 and 6 like to work on projects with real life experiences like the GLOBE PROJECT and also have their own class homepage. Welcome to our new partners from Turkey! Bedriye ve Kadir Uysal School has been the most popular secondary school in Uşak which lays about 200 km east of İzmir since 2000. The school prides itself about both its academic success and the social activities. The pupils' chorus gave a concert with İzmir Symphony Orchestra last year and now they are excited to participate in Schoolovision for the first time. They are eager to earn a good place in this years' contest. We happily welcome our enthusiastic new members from the Ukraine. Cherkasy city gymnasia 31 is situated on the picturesque bank of the Dnieper river, not far from the city centre. With 1400 pupils, who study different foreign languages, like to sing, dance and take part in after-school activities, the school is very big and one of the best in the city. Llangewydd Junior School represent Wales, for the 8th year in a row, having been in the project since the very start. Here are the results of the Special Category Voting. A big thank you to all who participated in the voting and congratulations to the winners! I would like to collect as much of the media coverage for our project as possible. Please add your links to websites and videos here. You can also screenshot, scan or archive such material in any other suitable way and share it with me. Thank you! As announced at the end of the video conference, your partners from Germany and Poland have produced a special video together. It was filmed around the river Neiße/Nysa in the city of Görlitz/Zgorzelec on the bridge which acts as a connection between the two cities and our two countries. We experienced that this place stands as a wonderful symbol for our big international cooperation. In our texts (from which the lyrics were made) our pupils wrote what this grand project means to us. We hope that you too will like the song which was especially produced for this purpose by the great musician Marie-Laurence Adamowicz. Please watch and listen, and and let us know if you think this should indeed be the Schoolovision anthem like we are suggesting. Congratulations to our winners and to all participants of Schoolovision 2016! Here's the list of the top 20 placements. According to this year's new rule all other placements will only be disclosed if you wish so (which was, as you can see, the case with Switzerland). Partners can still contact me if they wish to see their entry's position published here as well. For full scores please click on the screenshot at the end of this post. Congratulations for your 12th place right from the start! Here's the link to the recording of the Live Video Conference during which all votes for Schoolovision 2016 were given and the winner of this year's contest was announced. We are so glad we are back again after a break in 2015. 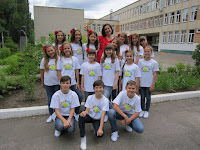 Our entry is Inka Rybarova´s song again - our children love her songs so much... We hope that you will enjoy it. Qworzó is proud to present to you the Belgian entry for Schoolovision 2016! This year we wanted to go one step further! The children wanted to write their own song, a song about friendship. So this is not a cover or a traditional song restyled, but it truly is the creation of the children in our class! Not only did they write the lyrics themselves, they created the music too (under the supervision and guidance of Door)! We hope you will like it and we would be very interested in reading your comments below! As the lyrics are in Dutch, we will translate the chorus for you, so you get the main message of the song! Eender waar het dan ook om draait. This is Cyprus Schoolovision entry for 2016. It is a Greek song recorded by us and its title is "Geia sou kyrie Menexe". Our topic this year is about bullying. Latvia - Folk song "Kas kaitēja nedzīvoti"
Latvian Folk Song "Kas kaitēja nedzīvoti" is about life near the great forest where are many wild animals who help to do different works - in the garden, at home etc. Schoolovision 2016 from Ilze S on Vimeo. Wales - Y Plant Dy Ni - We are the Young. Llangewydd Junior School is proud to represent Wales again this year. We've had a really busy time in school and have just finished filming today. We present 'Y Plant Dy Ni'. A favourite song of ours that we sing at least every week. It sings of our place in this world and our hopes for a bright and happy future. kleine Dinge from FSK on Vimeo. The song of Majka Jeżowska, well-known singer in Poland, is about that we must listen to our planet Earth. It's the wind of change. It's time to take an action and make the voice of peace heard. An exceptional relationship in Israel was born in the last few months writing a song. We decided to call it "Educating to Love". Two peoples, different point of views, however, one can be a witness to the new flame which has come. It is a light of hope, harmony, understanding and pure friendship. We are all rooted and bound, as the olive trees are to the land. And now let it be known to all that the flood of rain is over. 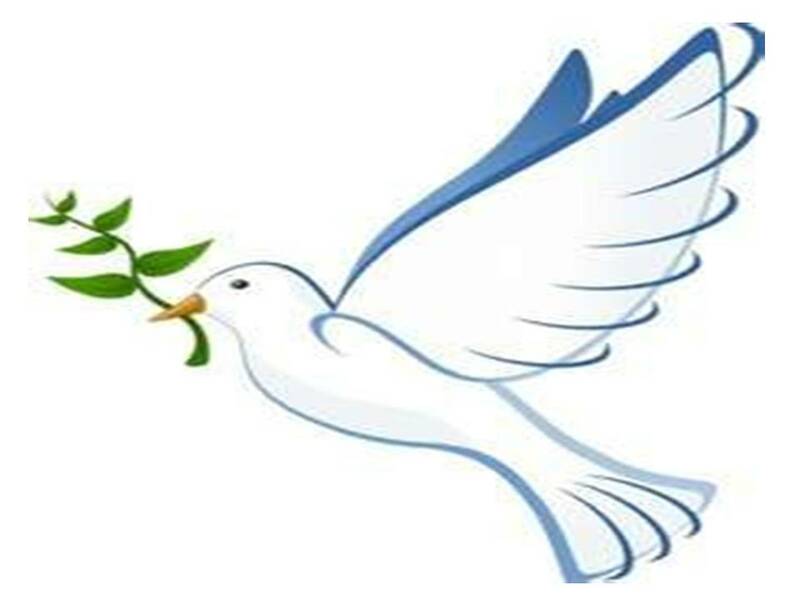 This song will send our dove, with a branch of an olive tree to spread the message of peace. We are so happy to take part in this project for the first time. This song, written by the sixth grade students, talks about the significance of friendship and mutual bonding. The music video was filmed in our beautiful schoolyard. We own special thanks to our little ballerinas. Five classes ( age 10-12) and almost 120 students in our school made the lyrics last year almost two years ago. I gave them the rhythm and they wrote lines about their ideas, hopes and dreams what , how and why they would like to study in the future. The melody is composed, played and arranged by our kind, bright and talented music teacher TUOMAS JAUHIAINEN. The students on this video are my own class, 5.B. They are 11 yrs old now. For the past two years we in Finland have been redoing our National curriculum as well as local ones. The curriculum work has been the topic also in Mäntsälä: the students, teachers and officials have been working intensively. And now the job is done!!!! - In Mäntsälä at Kirkonkylä school we also made a song, sort of like a rap, about the new curriculum and the school of the future. We made up the words , lyrics , in classrooms -together: I and the students . It was a lot of fun. "We are friends, we take care of each other, we like to learn and we discover, research and study everywhere, not only at school. We even dream about making excursions to the moon. The School of the Future from Anna Helin on Vimeo. Namsos e byen min- Namsos is my city. This is Norway`s entry for Schoolovision 2016. It is about a girl having a bright idea about how to make pupils stop bullying eachother, so that friendships between pupils will grow, and how to make our city Namsos a place where bullying is not allowed. The song is an original song written by the pupils (lyrics and music are written for this project), and it is produced by Olav Kristoffer Hegge Selnes in Rock City Studio, Namsos. The video is made by students from the Media-education at Nord Uiversitet in Steinkjer (Sondre Utheim, Torine Haugmark, Anders Valseth, Anastasia Fedoseeva, Siri Gunnarshaug and Erik Sande). Pictures of the pupils are taken by Photographers Fotokompaniet in Namsos, and Skrythals Records have helped us publish the song on iTunes, where it can be downloaded within a few days. Looking forward to the final on Friday the 13th! We live in the Åland Islands, a beautiful archipelago situated midway between Sweden and Finland. Åland is an autonomous, demilitarized (no military allowed) and Swedish-speaking region in Finland. Åland has 29 000 inhabitants, and 11 000 of them live in the only town, Mariehamn. Music was composed specially for this occasion by Cajsa Hallbäck (the teachers 18-years old daughter). The lyric theme was chosen to be about Åland. All the pupils have indiviually described what Åland means to them and what’s unique about our island. We love Åland! Our wish is that everybody around the world could be friends and live in a peaceful environment, just like we do. This year our students decided to sing this lively song “Si te vienes a bailar conmigo” (“If you come dance with me”) by a popular pop-rock band from the Canary Islands called Efecto Pasillo. Once again,we are so proud and happy to participate in Schoolovision 2016. We have to say that this video has been made with lots of love and enthusiasm. Our 304 students from 3 to 12 years old have greatly enjoyed the making of this wonderful entry. We hope this video makes you feel like starting dancing and enjoying life with positive energy. A BIG THANK YOU to all the people involved in this incredible process and who certainly have such big hearts and amazing profesionalism. Our students and the whole educative community of CEIP Valsequillo send you good luck from Spain, Canary Islands. Hi everyone, it is a great pleasure to participate once again in this project. My students are 7 years old and their only love is their Mum! They have dedicated this funny adventure to her. schoolovision2016_Italy_ from Bagheria III Circolo on Vimeo. "Let's put on fire to Earth's borders" in free translation. In greek the title is "Fotia sta sinora tis gis"!!!. Thank you and good luck to everybody!!! Schoolovision 2016 Greece from Elena Vaivai on Vimeo. Can you believe we are now into the 8th year of Schoolovision? Who would have thought of this when we started out in 2009, following along Michael's idea to link primary schools from across Europe using the eTwinning platform in a project based on the Eurovision Song Contest. Then, in 2012, we expanded eastwards, with new entries from several countries, including Ukraine, Russia, Georgia and Azerbaijan which helped take our total number of partners to 38, our largest to date. The standards also went up even further, and incredibly, all the top 3 entries came from new entrant schools! The winners were Hoknes barneskole, from Namsos in Norway, with Ærlighet varer lengst, a quite brilliant entry! In 2013, our expansion east was recognised by eTwinning, and we were awarded a very special certificate for our "outstanding collaboration and contribution to eTwinning" at the European Conference in Lisbon. Two months later, and one of our newest countries, Israel, triumphed with an equally outstanding entry, their very own tribute to the only Israeli astronaut, Ilan Ramon, lost in the 2003 Columbia space shuttle disaster. In 2014 our top stars from the Czech Republic won once again with their amazing Karneval entry. For the second time we conducted an additional teacher voting to honour our partners' commitment in pecial categories like environment or self-made song. 2015 saw a little change in our usual Schoolovision routines, as some of us took a break while the others entered their videos to a fun round without voting or placement.